The SaberCut™ saw is a lightweight, strong, versatile and low profile hand saw that is ideal for the survivor but easy to use by anyone. The SaberCut™ saw is designed to make it possible for you to cut through the hardest wood. Unlike other premium outdoor saws, the SaberCut™ saw offers you a flexible blade for cutting from a variety of angles and in places where you have little clearance. The 24-inch flexible blade is designed to ensure a smooth, fast action. Unlike a standard chain saw blade which only cuts in one direction, the patented SaberCut™ blade cuts in both directions resulting in more efficient and less strenuous cutting. In addition, the cutting teeth are self-cleaning and require little maintenance beyond standard care and occasional sharpening. When sharpening is needed, you can use a standard chain saw blade sharpener (1/8"). The durable SaberCut™ saw handles prevent the chain from twisting while you cut. This allows you to get a straight cut directly across the grain. 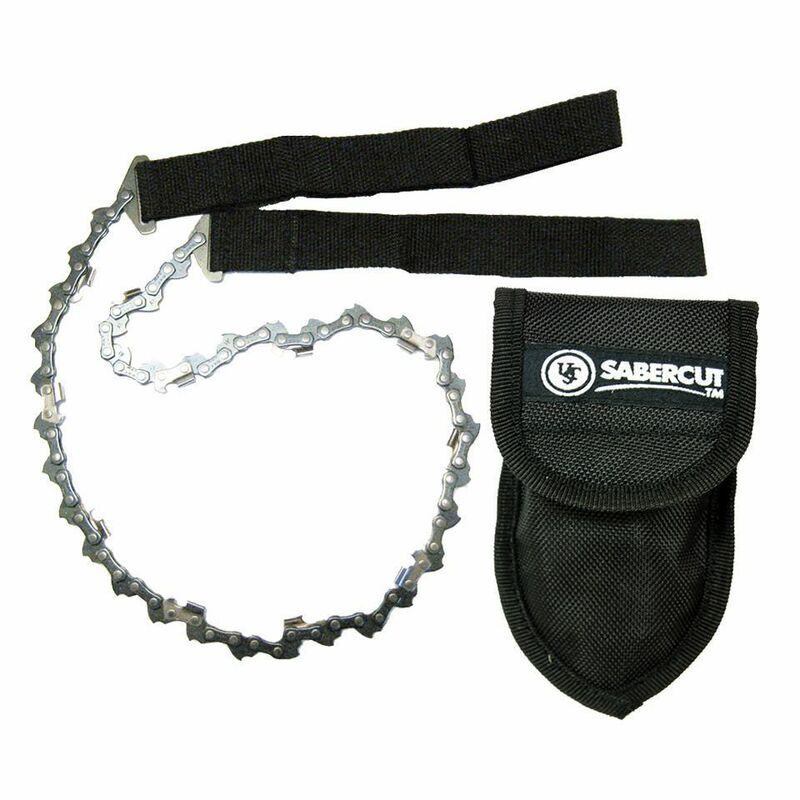 To make it easier for you to carry the SaberCut™ saw we created a flexible sheath made of durable ballistic fabric. Featuring a quick clip buckle and a belt attachment loop, the case holds the saw firmly in place and within easy reach. 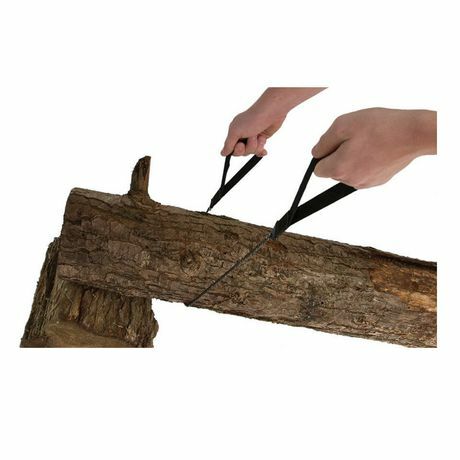 You can use the SaberCut™ saw to cut down your Christmas tree at a tree farm, prune branches in your back yard, or cut shelter materials in an emergency.